All dancers use breath. After all, breathing is a natural and necessary function that occurs whether we think about it or not. However, not all dancers understand how they can use their breath to maximize their dancing. At the most basic level, dancers should use inhalation to emphasize growing movements, and exhalation to extend shrinking movements. This use of breath provides a greater fluidity of movement, musicality, and often creates an enduring quality that fosters enjoyment of movement. Despite these benefits, young dancers are often unaware of how to connect their breath to their movement. Many tend to hold their breath, in class and on stage, because they are focusing their attention on performing the choreography above all else. 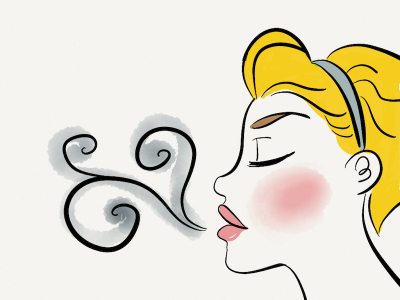 So, as dance teachers, how can we teach our students to connect their breath to their movements? Experience has taught me that this is a quality that cannot be taught in a day, but must be fostered throughout a dancer’s development. Below are several exercises that I have found helpful in encouraging the use of breath in my students. 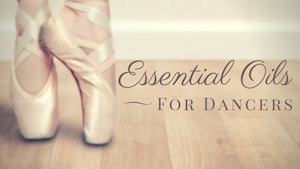 Dance training often begins with ballet, and ballet begins at the barre. Therefore, it only makes sense that the incorporation of breath should start at the barre. Every so often, use a CD of songs that are familiar to your dancers (one of my favorites is Divas for Ballet by David Plumpton). Holiday CDs also work well for this exercise. Teach your ballet class as you normally would, but invite your dancers to hum along with the music. Humming naturally incorporates breath into the exercise and the dancer becomes more closely involved with the musicality of the exercise. The following improvisation exercises can be done singularly at the end of a modern or contemporary class, or could be extended into a longer workshop. Spread the dancers out in the space. Play soft music that the dancers can hear you speak over. Then, ask them to improvise movements while coordinating audible breathing. Encourage the dancers to experiment with the way they breathe, such as varying the speed of inhalation and exhalation, pushing air out in contrast with pulling air in, and changing the pitch of their breath sounds. Pair your dancers up and spread the pairs out in the space. Again, play soft music that the dancers can hear you speak over. Then, ask the dancers to improvise movements while incorporating audible breathing in a conversation, or call and response, with a partner. One partner begins by improvising a movement that uses breath their partner can hear, and the second partner responds, also breathing out loud while improvising a movement. I like to encourage contact between the dancers during this exercise to form a more intimate connection between the pairings. Challenge your dancers to breathe out loud during a rehearsal run of your piece. This will force the dancers to think about their breathing as they dance. Give them places in the choreography where they should incorporate specific breathing patterns, such as inhaling when arms or legs are lifted or at the initiation of a jump, and exhaling at the beginning and end of a turn or during the landing of a jump. After the run has concluded, allow the dancers time to process their experience individually. 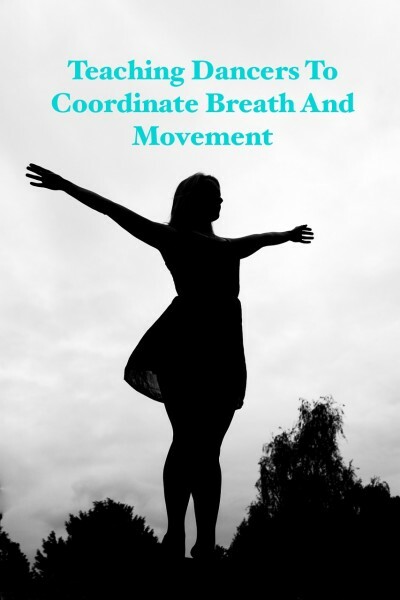 While the structure described in the rehearsal example above provides a great starting point for dancers to explore the connection of breath to movement, it is important to not always apply such a rigid arrangement for breathing. Every body is different, and every dancer will find that a different, specific breathing pattern assists his or her technique and performance. Once a dancer understands the basic principles of using breath with movement, he or she can master this on his or her own body through discovery and experimentation. Ultimately, this process will lead to a deeper understanding and enjoyment of the dance. Absolutely agree with you. I teach movement and dance for actors, who get a lot of breath training in their voice classes as well as in my movement classes. The new students who generally have the most trouble with this aspect are the folks who come in with the greatest amount of dance training! So I encourage all of you working in the realm of “pure” dance to start encouraging free use of breath and the occasional structured breathing pattern. If people are singing, they should be allowed to sing with THEIR breathing patterns, not always dependent on CDs of other people singing! Allowing people to breathe as THEY need to will give more individuality to the movement. If you wish for a corps de ballet kind of movement, then of course the students have to find out how to breathe together. But please, don’t make them always have to kowtow to the group. At least occasionally and preferably often, allow the students to investigate what works for them individually. Also, encourage students to think of breathing deep into their lower backs/waists to enable them to continue to work with “lift” through the core of the torso as well as being able to breathe to produce vocal sounds. Very good ideas! Thank you so much for sharing! I will definitely try it with my kids and my adult students too! Funny story. I was teaching adults the other day and was explaining the importance of breathing. One of them was holding her breath and I told her she is not breathing, only to hear back in a very cocky ‘you are offending me,you don;t know what you are talking about’ tone: ‘I AM breathing!’. God help me but breathing is one of the most difficult lessons to teach, let alone to explain to them why they do not do it right. I mean, at the end of the day, they are still alive so they ARE breathing! Lol!